In a case of alleged discrimination in the United States, a young Muslim woman was fired from her job at a dental clinic for wearing a hijab as her employer wanted to keep a "neutral environment" in office. 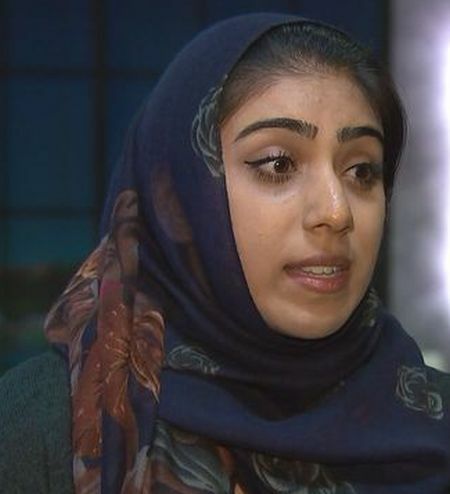 Najaf Khan, who was hired as a dental assistant at Fair Oaks Dental Care in Fairfax County, Virginia, said she was fired from the new job because she wore a Muslim head scarf to work. "I was really upset. The day that it happened, I was devastated," Najaf told NBC Washington. She did not wear the hijab for her interview or on the first two days of employment. On the third day, she chose to wear it because Najaf felt that she would stay at the job and wearing it was part of her spiritual journey. At work that day, she said the owner of Fair Oaks Dental Care, Dr Chuck Joo, told her to take off the hijab. Joo told her that they wanted to keep a "neutral environment" in office. The employer asked her to remove it because the Islamic head scarf would offend patients and he wanted to keep religion out of the office. Khan said Joo gave her an ultimatum -- she could continue wearing the scarf and be fired or work without it. "When I said that I would not compromise my religion for that, he held the door open for me and I walked out," Khan said. Joo was quoted as saying that open displays of religion are not allowed at his business because he wants to keep it neutral. If his employees want to wear a hat, it must be a surgical hat for sanitary reasons, Joo said. Reacting to the case, the Council on American Islamic Relations said, "No employee should face termination because of his or her faith or religious practices. We call on Fair Oaks Dental Care to reinstate the Muslim employee and to offer her reasonable religious accommodation as mandated by law." Najaf said she would likely refuse an offer to return to the dental office. "I was astonished because he (boss) had been saying I had been doing so well. I received an email Friday morning (July 29) saying how much positive enthusiasm I was bringing into the dental office," she told Fox News.